At Stoltz we build quality, long-lasting equipment designed for spreading materials used in both the agricultural and construction industries. Whether you're spreading fertilizer at 125 lb/acre or Portland cement at 125 lb/square yard, our spreaders have proven to be up for the job. 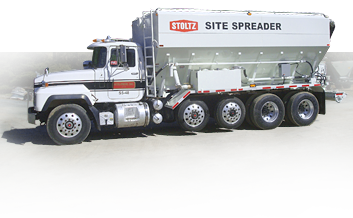 Stoltz Site Spreaders are engineered specifically for soil stabilization, soil remediation and full depth reclamation. 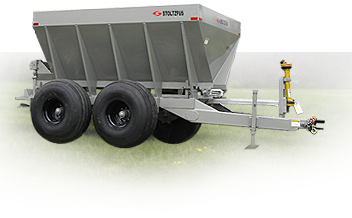 Stoltzfus agricultural lime spreaders are rugged enough to spread lime, yet precise enough to spread fertilizer and other agricultural materials.